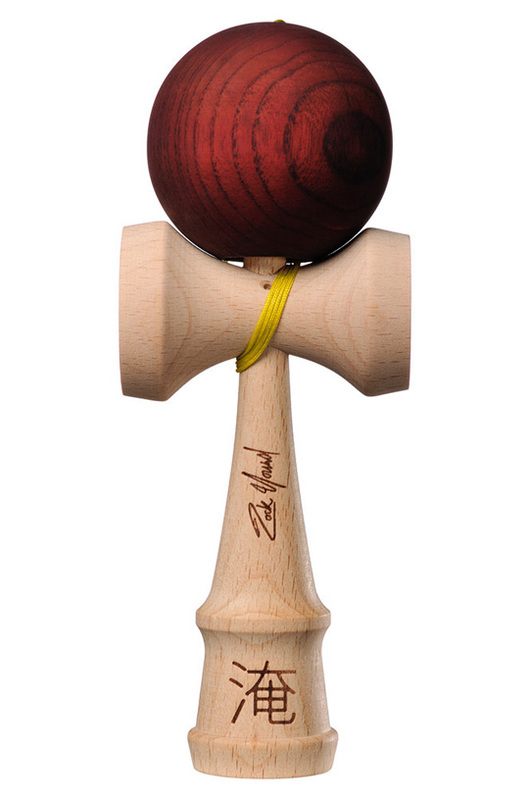 We're proud to introduce the newest installment of the Kendama USA Pro Models. These Kendamas have been customized to cater to each Pro's unique style and personality. Savor this dama and brew up some new combos. The Zack Yourd Pro Model features: beech wood Ken and Sassafras Tama construction, Kaizen handle shape with traditional style assembly, brown tama coated with our signature silk translucent paint, tea leaves, coffee beans & hops engraved into each of the cups, Zack Yourd signature and artwork burned into the handle. Each Pro Model includes a replacement string and bead, instructional guide, and stickers.